You know you’ve gotten really good at what you do when the public starts expecting you to do the unexpected. That new level of pressure has now undeniably landed in the lap of British track star Mo Farah, whose eighth-place finish in last Sunday’s London Marathon — Farah’s first-ever marathon — is being treated like a huge disappointment and a major flop from one of the world’s best athletes. 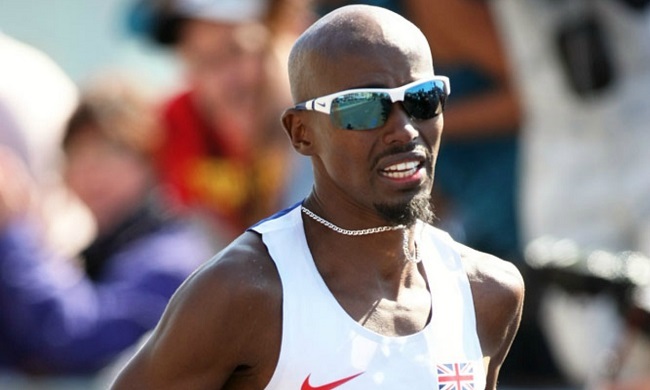 Farah, a Muslim born in Somalia who now runs for Great Britain, rose to fame when he won gold medals in the 5,000 and 10,000-meter races at the London Olympics in 2012. One year later, at the World Championships in Moscow, he won double-gold again in the two distance races. Having officially arrived as a sporting legend in the United Kingdom — the Madame Tussauds wax museums in London and Blackpool unveiled two new statues of Farah this week — and a mainstream internationally-known track star around the rest of the planet, Farah recently decided to tackle the marathon. And from the time he announced his plans to enter the 2014 London Marathon, expectations were immediately set pretty high. Too high. Apparently, people don’t understand that just because Farah is dominant on the track, it doesn’t mean he’ll instantly become a star on a 26-mile road course in an event he’d never run competitively before in his life. Distance runners and marathoners are not exactly the same kind of athlete. It’s going to take a few races for Farah to be up there with the best in the world in that particular event. That said, it’s not like Farah was far off from the best in the world in his debut. When I read the headlines Sunday about how horrible Farah had run in London and how much he flopped, I was expected to see that he didn’t finish the marathon, or that he’d come in somewhere around 35th, or that he’d been beaten by some “regular” non-professional runners. He finished eighth. In two hours, eight minutes and 21 seconds. Eighth. In one of the marquee marathons in the world, only seven runners finished ahead of Farah. The winner was Wilson Kipsang of Kenya, an experienced marathoner who already owns the world record in the event. Kipsang finished in two hours, four minutes and 27 seconds. Coming in second place was Stanley Biwott of Kenya, who won the Paris Marathon two years ago. The third-place finisher, Tsegaye Kebede of Ethiopia, came into the London Marathon as the defending champion. See where I’m going? The marathoners that beat Mo Farah on Sunday are marathoners. It wasn’t like Farah jumped into some random marathon against weekend warriors and got dusted. He made his debut in London against world-class, elite competition, and he still managed a top-10 finish. He was only a long commercial break behind the winner. It just goes to show how many people bring opinions to the table about sports they don’t know much about. Since Farah was the biggest name in the London Marathon field, a lot of casual fans just figured he’d be the winner. But you can check the results of the women’s London Marathon — which was of course run to much less fanfare — and see the same thing happened there. Three-time Olympic gold medalist and five-time world champion distance runner Tirunesh Dibaba of Ethiopia (also a 5,000/10,000-meter specialist) was making her 26-mile debut on Sunday, and she was “only” able to grab third place behind two experienced marathoners, including winner and two-time world champ Edna Kiplagat of Kenya. But surely Dibaba isn’t receiving as much criticism as Farah right now, because she’s not as famous as was therefore facing lower expectations. Of course, Farah himself is going to be disappointed. He’s a competitor who has succeeded at the highest level. He’s wired to think he can win any race he enters. He doesn’t train to lose. But I think if you give him a week or so to contemplate, even Farah would have enough perspective to admit that his performance in London wasn’t so bad. Farah shouldn’t feel like he let the fans down. Anyone who expected him to win was asking for a letdown. Hopkins, Shumenov and Ali are ready to steal the show in D.C.